After almost a year and a half, I pulled the Buick out of storage. First order of business…. install a REAL muffler! The exhaust system that I purchased from a seller on eBay came with a very cheap, FAKE muffler. Yeah, it was fake! 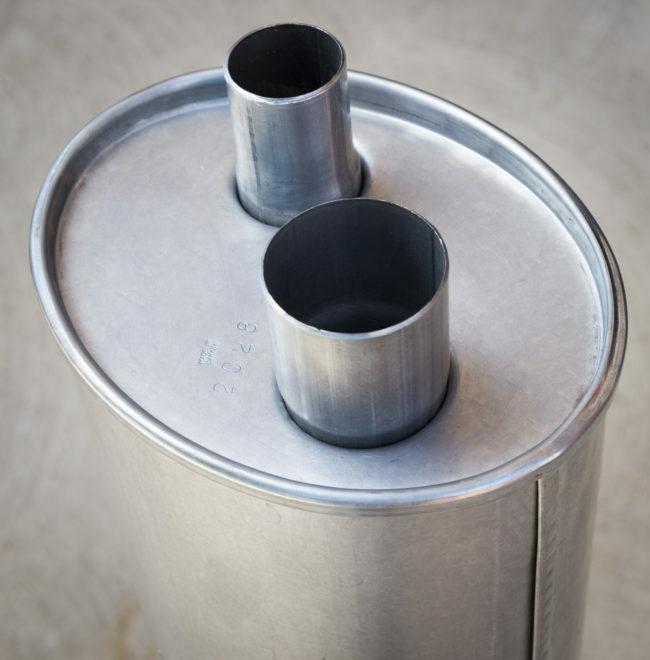 It was basically a metal can with two perforated pipes in it… which is a fine start to a real muffler, but there was nothing inside…. totally hollow! It seriously would have made for quieter exhaust to just do straight piles all the way to the end! Anyway, the new muffler, a REAL muffler made just like the original was ordered from Waldron Exhaust, at a cost of $204 after shipping. Not exactly cheap, but what else was I to do? 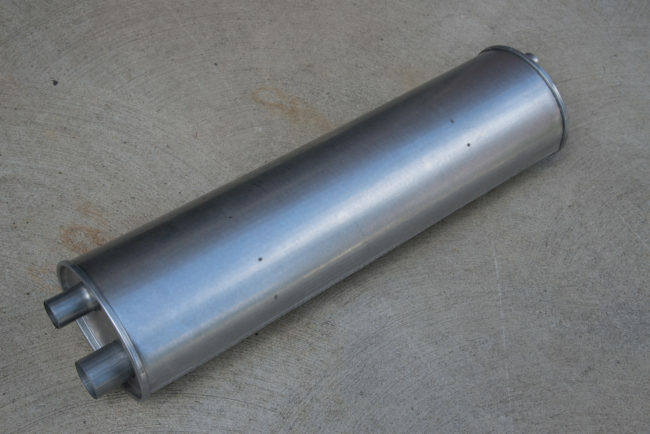 In a single-exhaust situation (like you find on the LeSabre), a Camaro muffler can be installed. But for dual exhaust, like my Invicta is equipped with? You’re screwed, unless you want to put two glass-packs on it… which I don’t want to do. I’d much rather have the car quiet, like original. Anyway, the muffler from Waldron’s arrives about two months after I ordered it. I guess they have a pretty big back-log of orders in the spring time… oh well. So, it’s installed and sounds pretty good! I think I may have some engine tune issues, because under load I still get the “bap bap bap” sound, but I can’t blame that on the muffler. Another thing to look into later, I suppose! So this muffler, it’s very nice! Made just like a factory original. Crimped over edges, galvanized steel, etc. No complaints… You get what you pay for! Nice sound for the old car!